Most of the rain that falls on your property is collected by rain gutters or flows from driveways and patios into the street. All of this runoff is diverted into the storm drain system that ultimately empties into the nearest body of water. As urban and suburban areas grow, storm water runoff increases the likelihood of flooding and increases pollution from the oil, fertilizers and pesticides that the water collects along the way. 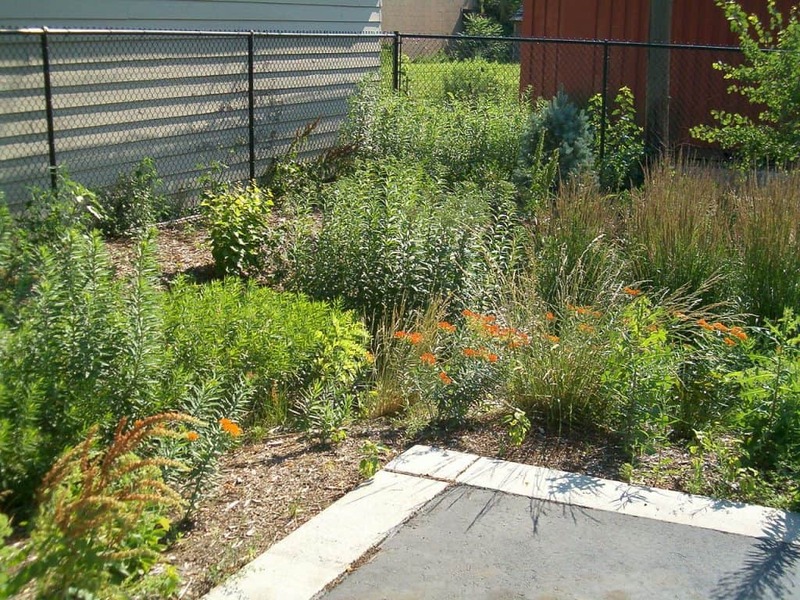 A rain garden is a shallow planting area designed to capture and filter rainwater before it reaches the sewer system. By installing a rain garden in your yard you can help prevent flooding and pollution of lakes, streams, bays and wetlands. 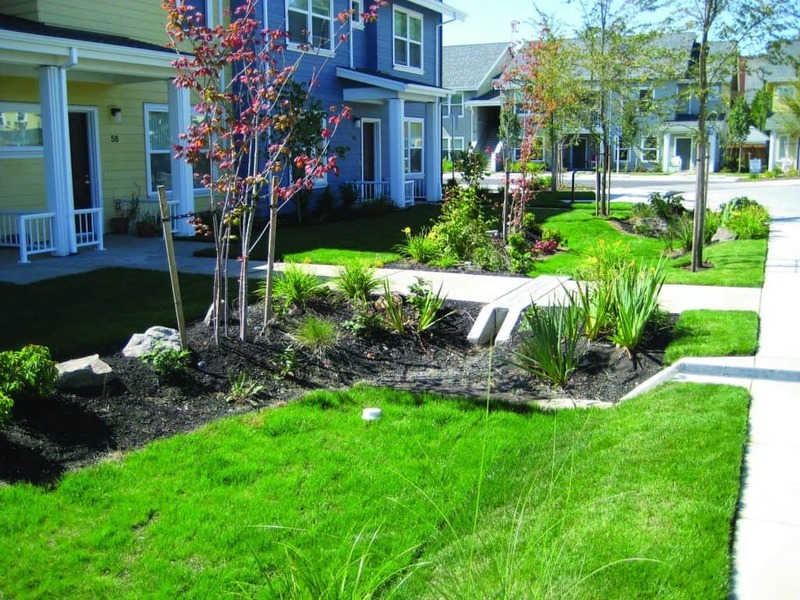 Rain gardens are a natural way to break down pollutants and render them harmless. Besides protecting water quality, properly planned and constructed rain gardens are a water-wise feature of your landscape and an attractive urban habitat for birds, butterflies and insects. As a community effort, rain gardens can alleviate the need for future taxes for municipal improvements in stormwater treatment. It is important to note that a rain garden does not form a pond, but acts as a collection area for rain water to soak into the ground slowly, rather than divert it immediately into the storm water system. Because the goal of a rain garden is to encourage slow seepage of rain and runoff, ponding indicates the filtration is too slow. Rain gardens are located in full or partial sun, at least 10 feet downslope from the house. Since the rain garden itself needs to be level, it is easier to build one in an area of the yard with the least slope. Besides location, there are several other critical factors when siting and building a rain garden. 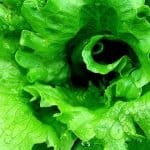 These factors include the type of soil, size of the drainage area, and depth of the rain garden. As a general rule, a rain garden should be perpendicular to the slope of the yard and twice as long as it is wide. Most rain gardens are between 100 and 300 square feet and 10 to 15 feet wide, with a depth of four to eight inches. 32-minute video on how to build a rain garden. Rain Garden how-to manual for home owners from University of Wisconsin Extension. Rain Garden Design adapted from North Carolina State University USDA for Alabama gardeners. Rain Garden Handbook for Western Washington from Washington State Department of Ecology and Washington State University Extension. 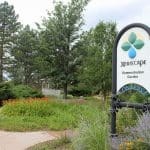 Besides protecting water quality, rain gardens are a water-wise feature of your landscape that is easier and less costly to maintain than a lawn. 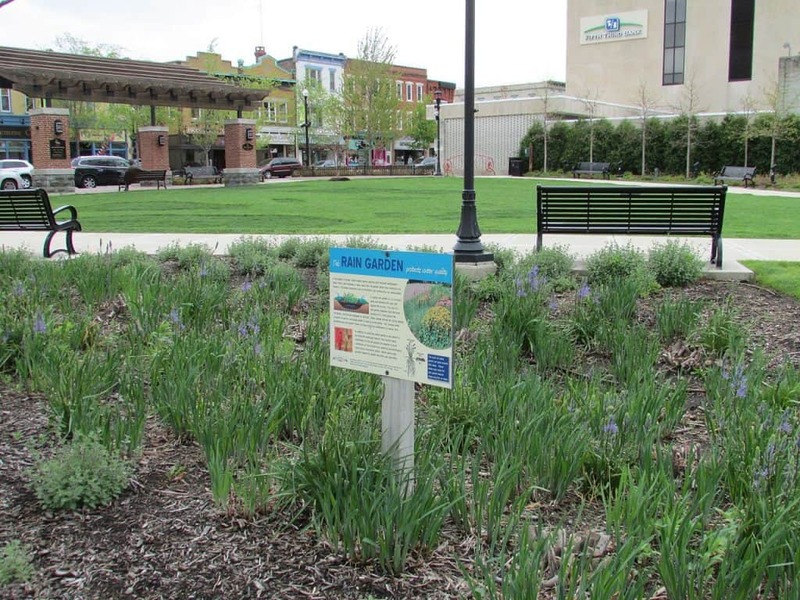 Rain gardens are a natural way to help prevent flooding and pollution of groundwater. This is a nice rain garden, but the plants still need to fill in. Mulch doesn’t transpire. The soil surface will dry faster between storms when these plants fill in the spaces. To save money on installation and maintenance of a rain garden, construct the garden yourself and use native plants recommended by local nurseries. 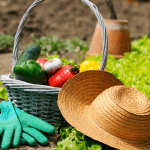 To save money on the purchase of plants, use transplants from overgrown areas in your landscape or cuttings from yours or neighbors’ yards (with permission, of course) along with wildflower seeds. 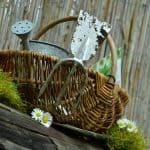 Contact local plant conservation groups that may salvage plants or offer plants at low prices. 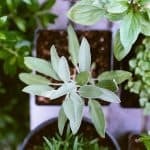 When buying plants, use smaller sizes (four-inch or one-gallon stock) and look for discounts on the purchase of plants in bulk or sales on bareroot stock. Contact your local water municipality to check for available rebates related to the installation of rain gardens. Once the plants are well established, weeding and watering should be minimal, saving time and money on landscape maintenance.